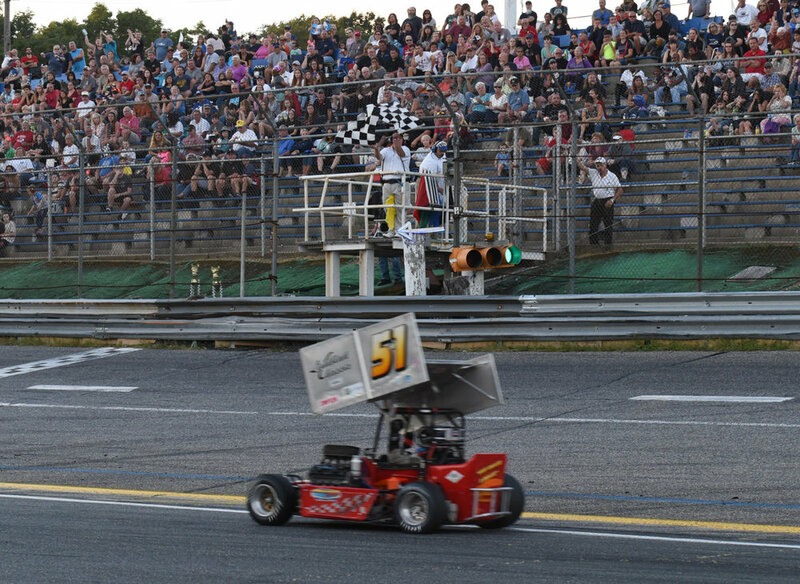 For the third time this season, the Hoosier Mid-Atlantic ATQMRA powered by VP Racing Fuel invaded the Jersey Shore, at the Wall Stadium Speedway. In front of a near capacity crowd, the drivers put on a caution-free event as has become the norm this year on the inner-oval. 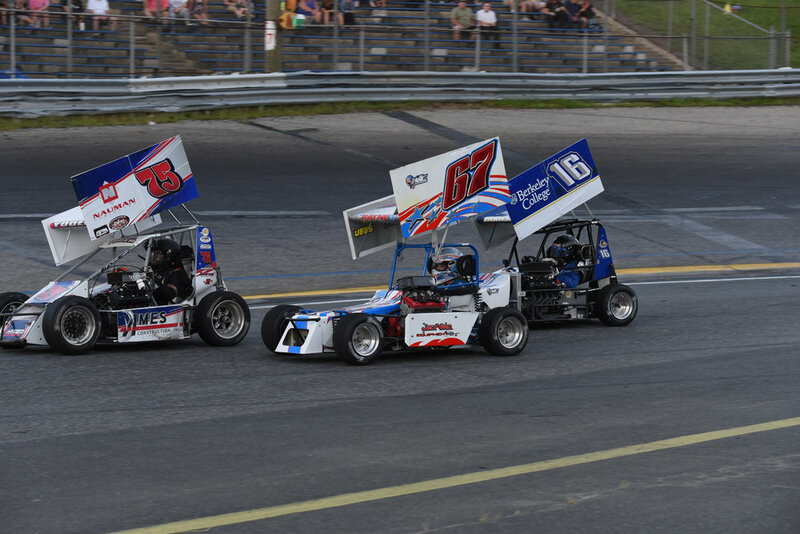 This news is a true testament to the rule changes enforced during our most recent off season, which includes requiring all drivers to run wings on their TQ Midgets at Wall Stadium. Heading into the weekend, all eyes were on Ryan Tidman and the Boyd Racing team. 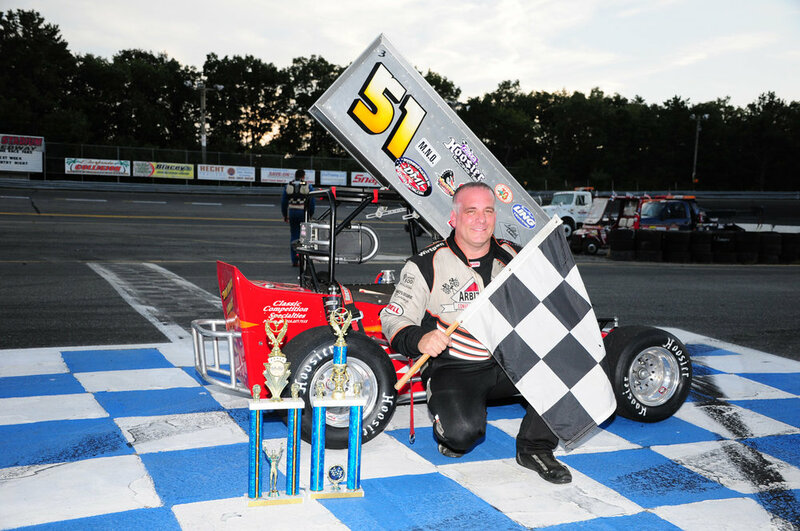 Tidman entered Wall Stadium winning the previous two ATQMRA events at both Bethel and Pocono, respectively. Hometown driver Ronnie Mullen won the first heat race of the evening, and would later start on the pole for the feature event. Jeff Kot, who was making only his second start of 2018 in the #17 Hyper 600, won the second 8-lap heat race in dominant fashion. Kot would start on the outside pole. Once the feature began, “The Jerzy Jet,” Joey Payne made his presence known, making a three-wide move on the front row starters R. Mullen and Kot on the opening lap of the event. To the delight of the packed crowd in attendance, the racing remained tight throughout the top half of the field, with positions second through fifth within a half of a second of each other for the duration of the race. Kot would stalk Payne the rest of the event but Payne would never look back, going on to lead all 25 laps of the feature event. Payne went on to capture his first victory of 2018. This was also the fourth win of the season for team owner Alan Mollot. Joey Payne is now the seventh driver in nine events this season to win an ATQMRA feature, making 2018 one of the most competitive seasons in the series storied history. 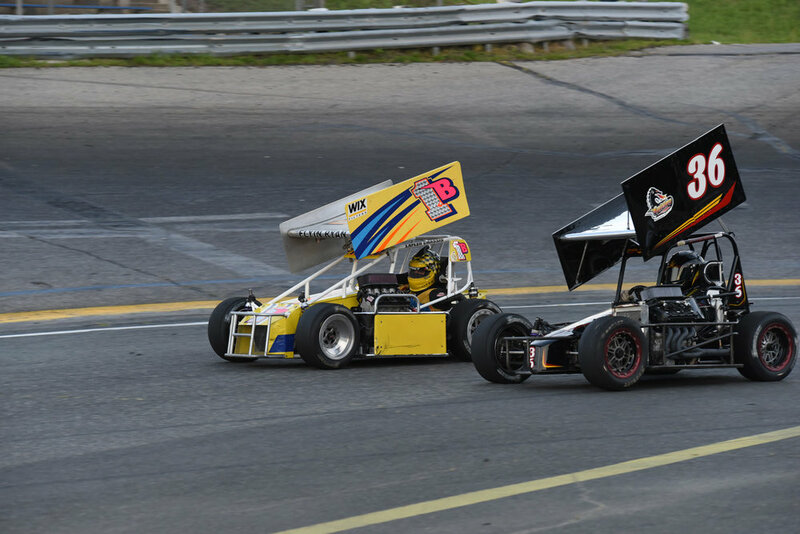 Jeff Kot edged out Ryan Tidman for second in a photo finish, which separated them by one-one hundredth of a second. Joey Bailey went on to finish forth, while championship points leader Matt Janisch rounded out the top-5. 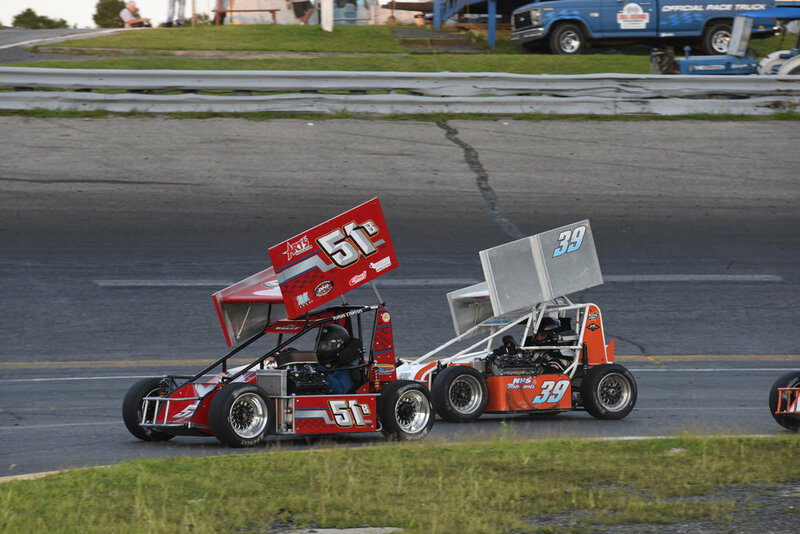 Buddy Sload brought home his Spitfire Chassis in sixth, previous Wall Stadium feature winner Cole Mullen finished in seventh, and Kyle Taraska with his Berkeley College sponsored entry finished in a respectable eighth. 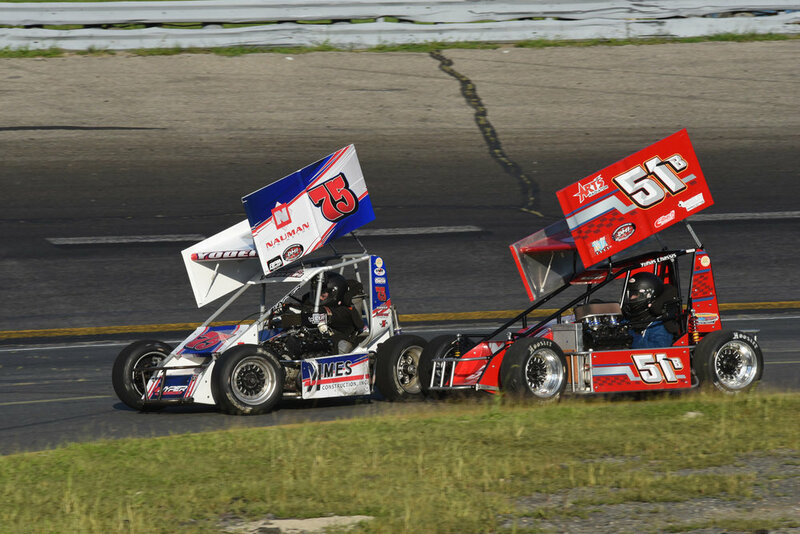 Mark Yoder finished 9th and Rookie of the Year candidate Paul Dodorico rounded out the top 10. Mechanical issues plagued both Ronnie Mullen and Joey Payne III, who rounded out the field in 11th and 12th respectively. It was a special night for “JP3”, while not only being able to make his 2018 ATQMRA debut in his favorite childhood race car, he was able to be on-hand for the on-track victory lane ceremony with his father during the post race celebration. The Hoosier Mid-Atlantic ATQMRA powered by VP Racing Fuel will be off the next few weeks prior to invading the Appalachian Mountains and the Mahoning Valley Speedway on September 15th, 2018.